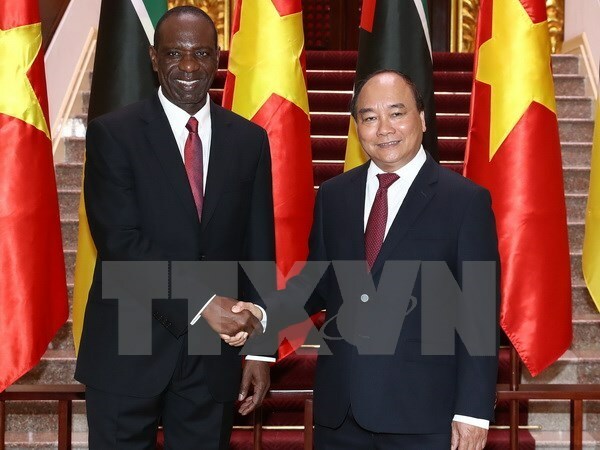 Hanoi (VNA) – Prime Minister of Mozambique Carlos Agostinho do Rosario on August 3 wrapped up his official visit to Vietnam from July 31 as guest of Prime Minister Nguyen Xuan Phuc. During the visit, the Mozambican PM had talks and meetings with Vietnam’s top leaders and had working sessions with several State and business units. At these events, the two sides agreed to continue exchanging visits and coordinating and supporting each other at international forums. The Mozambican side wanted the military-run telecom group Viettel to expand its operation in their country and called on Vietnamese businesses to engage in such fields as trade, oil and gas, maritime transportation, farm and seafood processing. The two sides pledged to make Mozambique a leading partner of Vietnam in South Sahara and Vietnam a bridge for Mozambique to reach Southeast Asia. Vietnam will share its development experience with Mozambique in such areas as natural disaster combat, weather forecast, climate change response, education-training, expert exchange, security and defence.